Associate Professor Perelli-Harris joined the University of Southampton in 2011. Previously she was a Research Scientist at the Max Planck Institute for Demographic Research in Rostock, Germany and a post-doc at the University of Wisconsin. She completed her Ph.D. in Sociology at the University of Michigan in 2006. Are the changes in partnership formation that we see occurring around the world universal or unique to each context? Dr. Perelli-Harris is interested in studying changes in the family in comparative perspective. Working with researchers across Europe, the USA and Australia, she uses demographic techniques, advanced quantitative methods, in-depth qualitative approaches, and policy analysis to explore the underlying reasons for the development of new family formation behaviours. 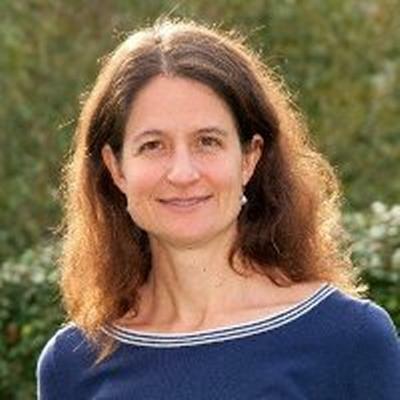 Dr. Perelli-Harris recently completed a five-year European Research Council starting grant to study the increase in childbearing within cohabitation in industrialised countries (visit www.nonmarital.org). This project provided insights into why cohabitation has increased so rapidly in some countries, but not in others. As part of this project, she edited a Special Collection in Demographic Research “Focus on Partnerships: Discourses on cohabitation and marriage throughout Europe and Australia.” Currently, her research examines the consequences of cohabitation, marriage, and childbearing. Working with collaborators from Australia, the U.S., Norway, and Germany, she has analysed a range of outcomes across the lifecourse, including mental well-being, health, life satisfaction, and wages. She is an Associate Editor for the European Journal of Population and a member of the Generations and Gender Programme Council of Partners. In 2016, the European Association for Population Studies awarded her the Dirk van de Kaa Award for Social Demography. My research investigates changes in the family across countries, including: nonmarital childbearing, fertility, union formation; demographic techniques, mixed-methods; decline to very low fertility and family change in the former Soviet Union. Perelli-Harris, B., Kreyenfeld, M., Sigle-Rushton, W., Keizer, R., Lappegard, T., Jasilioniene, A., ... Di Giulio, P. (Accepted/In press). Changes in union status during the transition to parenthood in eleven European countries,1970s to early 2000s. Population Studies. Perelli-Harris, B. (2015). Partnership formation and dissolution in Western societies. In N. J. Smelser, & P. B. Baltes (Eds. ), International Encyclopedia of the Social & Behavioral Sciences (pp. 545-552). Elsevier. Perelli-Harris, B., & Isupova, O. (2013). Crisis and control: Russia’s dramatic fertility decline and efforts to increase it. In A. Buchanan, & A. Rotkirch (Eds. ), Fertility Rates and Population Decline: No Time for Children (pp. 141-156). Basingstoke, GB: Palgrave Macmillan. Goldstein, J. R., Park, H., & Perelli-Harris, B. (2010). An around-the-world decline in divorce for the most educated?. Paper presented at European Population Conference, Austria. Perelli-Harris, B., & Sigle-Rushton, W. (2010). Changes in union status between first and second births: findings from across Europe. Paper presented at Annual meeting of the Population Association of America, United States. Levchuk, N., & Perelli-Harris, B. (2010). Declining fertility in Ukraine: what is the role of abortion and contraception?. Paper presented at Annual meeting of the Population Association of America, United States. Perelli-Harris, B., Gassen, N. S., & Loffler, C. (2010). The relationship between the state, cohabitation, and childbearing across Europe: policy dimensions and theoretical considerations. Paper presented at Social Policy and Family Dynamics in Europe Workshop, Sweden. Perelli-Harris, B., Sigle-Rushton, W., Lappegard, T., Keizer, R., Kreyenfeld, M., & Berghammer, C. (2009). "The educational gradient of nonmarital childbearing in Europe: emergence of a pattern of disadvantage?". Paper presented at Education and Demography, Austria. Perelli-Harris, B., Sigle-Rushton, W., Lappegard, T., Jasilionene, A., Di Giulio, P., Koppen, K., ... Keizer, R. (2009). How does childbearing change the meaning of cohabitation? A study of 9 European countries. Paper presented at Annual meeting of the Population Association of America, United States. Perelli-Harris, B., & Gerber, T. P. (2009). Maternity leave in Russia: policies and effects on labor market transitions and childbearing. Paper presented at Annual meeting of the Population Association of America, United States. Perelli-Harris, B., Sigle-Rushton, W., Lappegard, T., Keizer, R., & Kreyenfeld, M. (2009). The educational gradient of nonmarital childbearing in Europe: emergence of a pattern of disadvantage?. Paper presented at IXXVI nternational Union for the Scientific Study of Population Conference, Morocco. Perelli-Harris, B., & Gerber, T. P. (2008). Maternity leave in Russia 1985-2001: policies and effects on childbearing and labor market transitions. Paper presented at International Seminar on Fertility and Public Policies in Low Fertility Countries, Spain. Perelli-Harris, B., & Gerber, T. P. (2008). Non-marital fertility in Russia: second demographic transition or low human capital?. Paper presented at Population Association of America 2008 Annual Meeting, United States. Gerber, T. P., & Perelli-Harris, B. (2007). Gender effects on labor market outcomes in Russia, 1985-2001: Institutional change, family structure, and regional variation. Paper presented at Population Association of America 2007 Annual Meeting, United States. Perelli-Harris, B. (2006). The changing effects of education on fertility during a period of rapid transition. Paper presented at Annual Meeting of the Population Association of America, United States. Perelli-Harris, B. (2005). The influence of engagement in extra activities and subjective well-being on fertility in a context of anomie: higher parity childbearing in post-Soviet Russia. Paper presented at International Meeting on the Postponement of Childbearing in Europe, . Perelli-Harris, B. (2004). The influences of coping mechanisms and a positive outlook in periods of economic uncertainty. Paper presented at Annual Meeting of the Population Association of America, United States. Perelli-Harris, B. (2003). Young mothers, only children: lowest-low fertility in Ukraine. Paper presented at Annual Meeting of the Population Association of America, United States. Sanchez Gassen, N., & Perelli-Harris, B. (2014). The increase in cohabitation and the role of marital status in family policies: a comparison of 12 European countries. (ESRC Centre for Population Change Working Paper Series; No. 52). Southampton, GB: ESRC Centre for Population Change. Perelli-Harris, B. (2013). How similar are cohabiting and married parents? Second conception risks by union type in the United States and across Europe. (ESRC Centre for Population Change Working Paper Series; No. 35). Southampton, GB: ESRC Centre for Population Change. Perelli-Harris, B., & Lyons-Amos, M. (2013). The heterogeneity of relationship patterns: An examination of 15 countries using latent class growth models. (ESRC Centre for Population Change Working Paper Series; No. 37). Southampton, GB: ESRC Centre for Population Change. Klüsener, S., Perelli-Harris, B., & Sanchez Gassen, N. (2012). Spatial aspects of the rise of nonmarital fertility across Europe since 1960: the role of states and regions in shaping patterns of change. (MPIDR Working Paper; No. WP 2012-005). Rostock, DE: Max Planck Institute for Demographic Research. Perelli-Harris, B., & Sánchez Gassen, N. (2010). The reciprocal relationship between the state and union formation across Western Europe: policy dimensions and theoretical considerations. (MPIDR Working Paper; No. WP 2010-034). Rostock, DE: Max Planck Institute for Demographic Research. Perelli-Harris, B., & Gassen, N. S. (2010). The relationship between the state, cohabitation, and childbearing across Europe: policy dimensions and theoretical considerations. (MPIDR Working Paper; No. 2010-034). None, None: Max Planck Institute for Demographic Research. Levchuk, N., & Perelli-Harris, B. (Accepted/In press). Declining fertility in Ukraine: what is the role of abortion and contraception? (MPIDR Working Paper; No. WP-2009-045). Rostock, DE: Max Planck Institute for Demographic Research. Gerber, T. P., & Perelli-Harris, B. (Accepted/In press). Maternity leave in Russia 1985 - 2001: policies and effects on childbearing and labor market transitions. Rostock, DE: University of Rostock. Perelli-Harris, B., Kreyenfeld, M., Sigle-Rushton, W., Lappegard, T., Jasilioniene, A., Di Giulio, P., ... Koppen, K. (Accepted/In press). The increase in fertility in cohabitation across Europe: examining the intersection between union status and childbearing. (MPIDR Working Paper; No. WP-2009-021). Max Planck Institute for Demographic Research.